So the holidays are over and you’ve got a big dish of leftover turkey in the frig. You’ve eaten turkey sandwiches for days, made (or froze turkey for) turkey noodle soup, which I highly recommend, and you’re still stuck with a lot of leftover turkey. Why not make turkey Divan for dinner tonight? This dish can also be made with chicken, allowing you to make it any night of the week. Just cook the chicken any way you prefer (boil, grill, bake, etc) and substitute it for the cooked turkey in the recipe. This is an old Southern standby dish, extremely easy to prepare with a few ingredients most of us have in our pantries at all times. Mix together the soup, curry powder, pepper, mustard, Worchestershire sauce and cream in a saucepan over low heat and cook for 5 minutes. 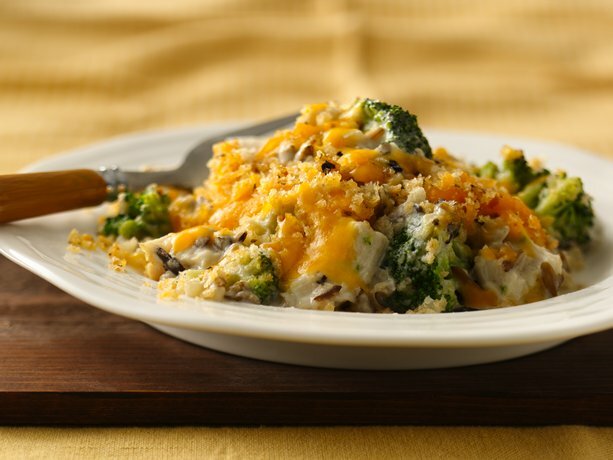 Add the broccoli, turkey and half the cheese (1/4 cup) and remove from the heat. 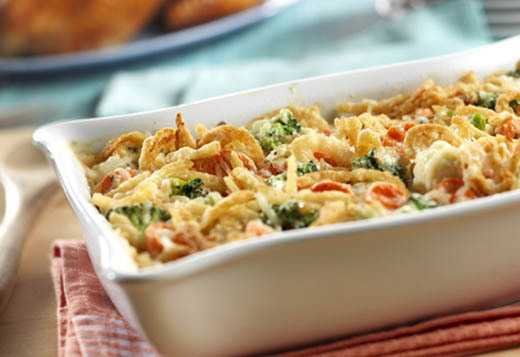 Stir in the mayonnaise, mix well and pour into a casserole dish. Top with bread crumbs and bake at 350F for 30 minutes. Sprinkle remaining cheese and almonds as garnish when serving.